← Backcountry guiding and highend performance clinics. 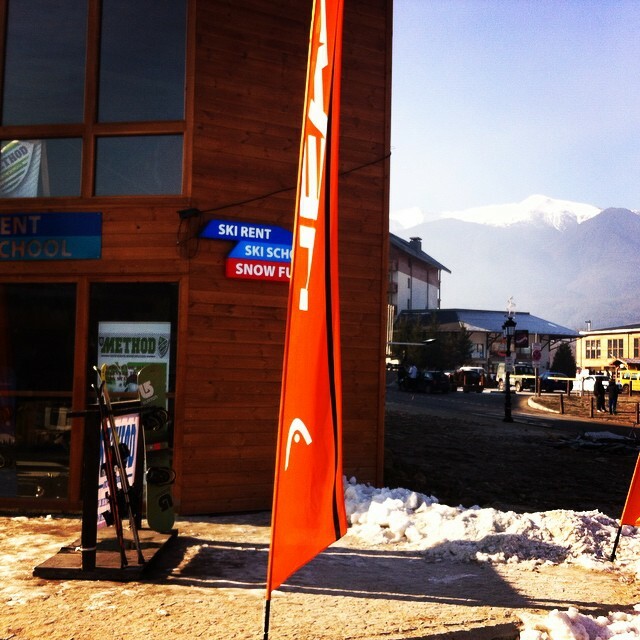 The only British run ski and snowboard school in Bansko. At Method we have ski rental packages in Bansko at great prices for all our clients. Just let us know what you need and then pop in the night before for a fitting. This saves time in the morning so you can be first on the slopes the first morning of your holiday. You can leave your skis and boots with us every night as we are so close to the gondola. We have been adding new skis to our hire for the past couple of seasons with a new selection of Salomon and Atomic skis for hire. We have added new skis for the 2017 season. Method have Burton Learn to Ride snowboards for hire . Method have added new snowboard for the season 2017 with a range from Nitro and Atomic. We are in the new shopping mall opposite the gondola on Pirin street. We have a brand new shop with a full ski and snowboard hire. Come in and sit by our open fire while we get you set up for your holiday.